Low-carb and ketogenic diets have many health benefits. For example, it is well known that they can cause weight loss and help fight diabetes. However, they are also beneficial for certain brain disorders. This article explores how low-carb and ketogenic diets affect the brain. 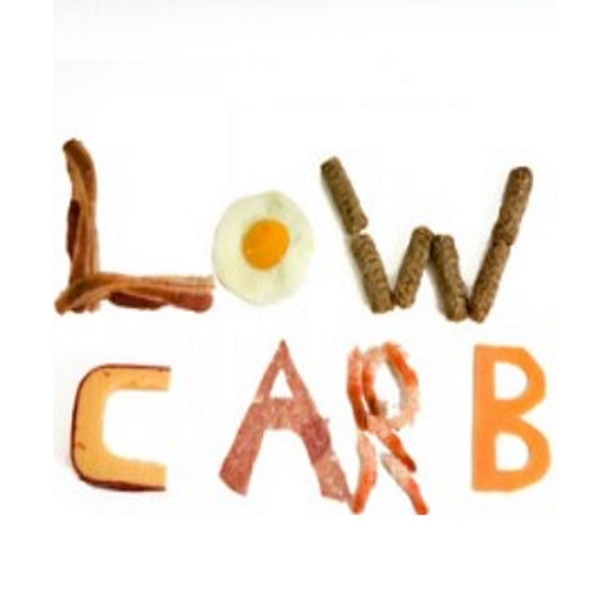 What Are Low-Carb and Ketogenic Diets? Although there is a lot of overlap between low-carb and ketogenic diets, there are also a few important differences. Carbs are limited to 50 grams or less per day. A major goal is to increase blood levels of ketones, molecules that can supply energy for the brain. Carbs can vary from 25–150 grams per day. Protein is usually not restricted. Ketones may or may not rise to high levels in the blood. On a ketogenic diet, the brain is mainly fueled by ketones. These are produced in the liver when carb intake is very low. On a standard low-carb diet, the brain will still be largely dependent on glucose, although it may burn more ketones than on a regular diet. Bottom Line: Low-carb and ketogenic diets are similar in many ways. However, a ketogenic diets contains even fewer carbs, and will lead to a significant rise in blood levels of ketones. You may have heard that your brain needs 130 grams of carbs per day to function properly. This is one of the most common myths about low-carb diets. Although a zero-carb diet isn’t recommended because it eliminates many healthy foods, you can definitely eat much less than 130 grams per day and maintain good brain function. Bottom Line: It is a common myth that you need to eat 130 grams of carbs per day to provide the brain with energy. Low-carb diets have a fascinating way of providing your brain with energy via processes called ketogenesis and gluconeoegenesis. Glucose, the sugar found in your blood, is usually the brain’s main fuel. Unlike muscle, your brain can’t use fat as a fuel source. However, the brain can use ketones. Your liver produces ketones from fatty acids when glucose and insulin levels are low. Ketones are actually produced in small amounts whenever you go for many without eating, such as after a full night’s sleep. However, the liver increases its production of ketones even further during fasting or when carb intake falls below 50 grams per day (1, 2). When carbs are eliminated or minimized, ketones can provide up to 70% of the brain’s energy needs (3). Although most of the brain can use ketones, there are portions that require glucose to function. On a very-low-carb diet, some of this glucose can be supplied by the small amount of carbs consumed. In this process, the liver creates glucose for the brain to use. It manufactures the glucose using amino acids, the building blocks of protein. The liver can also make glucose from glycerol. This is the backbone that links fatty acids together in triglycerides, the body’s storage form of fat. Thanks to gluconeogenesis, the portions of the brain that need glucose get a steady supply, even when your carb intake is very low. Bottom Line: On a very low-carb diet, up to 70% of the brain can be fueled by ketones. The rest can be fueled by glucose produced in the liver. Epilepsy is a disease characterized by seizures, linked to periods of overexcitement in brain cells. It can cause uncontrolled jerking movements and loss of consciousness and occurs most often in children. Epilepsy can be very difficult to treat effectively. There are several types of seizures, and some children have multiple episodes every day (4). Although there are many effective anti-seizure medications, these drugs are unable to control seizures in at least 30% of patients. This type of epilepsy is called refractory, or unresponsive to medication (5). 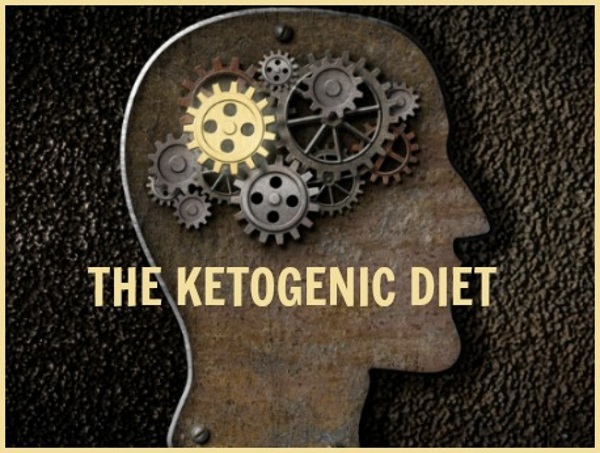 The ketogenic diet was developed by Dr. Russell Wilder in 1921 to treat drug-resistant epilepsy in children. His diet provides around 90% of calories from fat and has been shown to mimic the beneficial effects of starvation on seizures (4). The exact mechanisms behind the ketogenic diet’s anti-seizure effects remains unknown. Classic Ketogenic Diet (KD): 2–4% of calories from carbs, 6–10% from protein and 85–90% from fat. Modified Atkins Diet (MAD): 4–6% of calories from carbs with no restriction on protein in most cases. The diet starts by allowing 10 grams of carbs per day for children and 15 grams for adults, with potential slight increases if tolerated. Medium-Chain Triglyceride Ketogenic Diet (MCT Diet): Initially 20% carbs, 10% protein, 50% medium-chain triglycerides and 20% other fats. Low Glycemic Index Treatment (LGIT): Limits carb choices to those with a glycemic index under 50. Around 20–30% of calories from protein, 10–20% from carbs, and the rest from fat. The Classic Ketogenic diet (KD) has been used in several epilepsy treatment centers and some studies have found improvement in about half of patients (4, 6, 7, 8, 9, 10). In fact, one third of children who respond to the diet have a 90% or greater decrease in seizures (9). In one study, children treated with a ketogenic diet for three months had a 75% decrease in baseline seizures, on average (10). Although the classic ketogenic diet can be very effective against seizures, it requires close supervision by a neurologist and dietitian. Food choices are also quite limited, and the diet can be difficult to follow, particularly for older children and adults (11). In many cases, the Modified Atkins diet (MAD) has proven to be as effective or nearly as effective for childhood seizure management as the classic ketogenic diet, with fewer side effects (12, 13, 14, 15, 16, 17). In a randomized study of 102 children, 30% of those who followed the modified Atkins diet experienced a 90% or greater reduction in seizures (14). Although most studies have been done in children, some adults with epilepsy have also seen good results with this diet (18, 19, 20). In an analysis of 10 studies comparing the classic ketogenic diet to the modified Atkins diet, people were much more likely to stick to the modified Atkins diet (20). The Medium-Chain Triglyceride Ketogenic diet (MCT Diet) has been used since the 1970s. MCTs are saturated fats found in coconut oil and palm oil. Unlike long-chain fats, they are absorbed directly from the small intestine by the liver and used for quick energy or ketone production. MCT oil’s ability to increase ketone levels with less restriction on carb intake has made the MCT diet a popular alternative to the others (21, 22, 23). One study in children found that the MCT diet was comparable in effectiveness to the classic ketogenic diet in controlling seizures (23). The Low-Glycemic Index Treatment (LGIT) is another dietary approach that can control epilepsy, despite its very modest effect on ketone levels (24, 25). In one study of 11 patients who followed the LGIT, eight had more than a 50% reduction in seizures, and half of those patients became completely seizure-free (25). Bottom Line: Various types of low-carb and ketogenic diets are effective at reducing seizures in patients with drug-resistant epilepsy. Although few formal studies have been done, it appears that low-carb and ketogenic diets may be beneficial for people with Alzheimer’s disease. Alzheimer’s disease is the most common form of dementia. It’s a progressive disease where the brain develops plaques and tangles that cause memory loss. Many researchers believe it should be considered “type 3” diabetes because the brain’s cells become insulin resistant and are unable to use glucose properly, leading to inflammation (26, 27, 28). In fact, metabolic syndrome, a stepping stone towards type 2 diabetes, also increases the risk of developing Alzheimer’s disease (28, 29). Experts report that Alzheimer’s disease shares certain features with epilepsy, including brain excitability that leads to seizures (30, 31). In one study of 152 people with Alzheimer’s disease, those who received an MCT supplement for 90 days had much higher ketone levels and a significant improvement in brain function compared to a control group (32). Animal studies also suggest that a ketogenic diet may be an effective way to fuel a brain affected by Alzheimer’s (27, 33). As with epilepsy, researchers aren’t certain of the exact mechanism behind these potential benefits against Alzheimer’s disease. One theory is that ketones protect brain cells by reducing reactive oxygen species, which are byproducts of metabolism that can cause inflammation (34, 35). Another theory is that a diet high in fat, including saturated fat, can reduce the harmful proteins that accumulate in the brains of people with Alzheimer’s (36). Bottom Line: Ketogenic diets and MCT supplements may improve memory and brain function in people with Alzheimer’s disease, although research is still in its early stages. Memory: Older adults at risk of Alzheimer’s disease have shown improvement in memory after following a very-low-carb diet for six weeks (37). Brain function: Feeding older and obese rats a ketogenic diet leads to improved brain function (38, 39). Congenital hyperinsulinism: This condition causes hypoglycemia and can lead to brain damage. Congenital hyperinsulinism has been successfully treated with a ketogenic diet (40). Migraine headaches: Researchers report that low-carb or ketogenic diets may provide relief to migraine sufferers (41, 42). Parkinson’s disease: In a small, uncontrolled study, five out of seven people with Parkinson’s disease who completed a four-week ketogenic diet experienced a 43% improvement in self-reported symptoms (43). Traumatic brain injury: Patients with severe head injury who were fed a carb-free formula were able to obtain nourishment while avoiding high blood sugar, which can hinder recovery (44). Bottom Line: Low-carb and ketogenic diets have many other health benefits for the brain. They can improve memory in older adults, help reduce migraines and reduce symptoms of Parkinson’s disease, to name a few. There are certain conditions for which a low-carb or ketogenic diet isn’t recommended. If you have any sort of medical condition, then you may want to speak with your doctor before starting a ketogenic diet. Elevated cholesterol: Adults may experience elevated cholesterol levels, and children may have increases in both cholesterol and triglyceride levels. However, this may be temporary and doesn’t appear to affect heart health (45, 46, 47). Kidney stones: These are uncommon but have occurred in some children on ketogenic diet therapy for epilepsy. Kidney stones are usually managed with potassium citrate (48). Constipation: This is very common on ketogenic diets. One treatment center reported that 65% of children developed constipation (48). This is usually easy to remedy with stool softeners or dietary changes. Children with epilepsy eventually discontinue the ketogenic diet once seizures have resolved. Most of them do not experience any negative long-term effects (49). Bottom Line: A very-low-carb ketogenic diet is safe for most people, but not everyone. Some people may develop side effects, which are usually temporary. When transitioning to a low-carb or ketogenic diet, you may experience some adverse effects. Make sure to get enough fluid: Drink at least 68 ounces (2 liters) of water a day to replace the water loss that often occurs in the initial stages of ketosis. Eat more salt: Add 1–2 grams of salt each day to replace the amount lost in your urine when carbs are reduced. Drinking broth will help you meet your increased sodium and fluid needs. Supplement with potassium and magnesium: Eat foods high in potassium and magnesium to prevent muscle cramps. Avocado, Greek yogurt, tomatoes and fish are good sources. Moderate your physical activity: Don’t exercise heavily for at least one week. It may take a few weeks to become fully keto-adapted, so don’t push yourself in your workouts until you feel ready. Bottom Line: Adapting to a very-low-carb or ketogenic diet takes some time, but there are a few ways to ease the transition. According to the available evidence, ketogenic diets can have powerful benefits for the brain. The strongest evidence has to do with treating drug-resistant epilepsy in children. There is also preliminary evidence that ketogenic diets may reduce symptoms of Alzheimer’s and Parkinson’s. Research is ongoing about its effects on patients with these and other brain disorders. Beyond brain health, there are also many studies showing that low-carb and ketogenic diets can cause weight loss and help treat diabetes. These diets are not for everyone, but can have incredible benefits for a lot of people.